Villanova University School of Law Externship Program offers externship opportunities for law students that allows them to experience the legal profession in a real world setting. Academic credit is available for the externship. The program includes over 30 approved externship field placements. Students participating in the program may work at law firms, government agencies, or non-profit organizations. Their work will be supervised by a practicing lawyer at the participating organization and a faculty advisor from the school of law. Students will participate in a number of activities, such as research, preparing depositions, preparing testimonies, drafting legal documents, and other activities within the field of law. Students in their third year of law school will be given preference to participate in the externship program. Credit earned can be up to 12 credits for 40 hours per week for a 14-week semester. 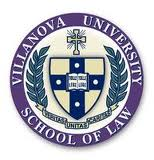 Villanova University School of Law offers the externship program to help law students improve their skills in legal research, writing, understanding legal process and preparing for a career in the legal profession.